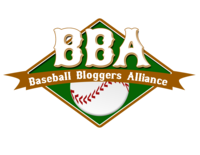 The Baseball Bloggers Alliance was founded in 2009 with the purpose of encouraging collaboration and communication among bloggers from across baseball. As a secondary goal, the Alliance also votes on various awards at different times in the year. Why becoming a member of the BBBA can help? Each member can also use the @baseballblogs twitter feed to send out their own links at anytime by using tweetdeck.com If you are approved for the BBBA, you will receive an invite for this. You could have your blog featured on this website. It takes only about 5 minutes to copy and paste a paragraph back to your original site from one of your articles – and you reach 2.8 K Twitter Followers and 832 Facebook followers, hundreds of our email followers will be emailed the link, plus a ton of more views will arise from google search engines. Your BBBA membership has never had more people working to help enhance your site. Take advantage. Use our social media platforms. Several of our members (new and old) have done this and it has grown their sites views. If you are serious, please read the requirements in our constitution here. If you are interested in the BBBA, and feel you meet the criteria please e-mail the president of the organization Ed Comber – baseballbloggersalliance@gmail.com. The BBBA can also be found on Twitter at @baseballblogs (official hashtag is #BBBA) and Facebook.